A jury will finally hear the case against Chicago police officer Jason Van Dyke beginning Monday, and the whole nation will be watching. NBC 5's Christian Farr sets the scene for the big trial. It was a trial that captured nationwide attention- a white Chicago police officer charged in the fatal shooting of a black 17-year-old, Laquan McDonald. 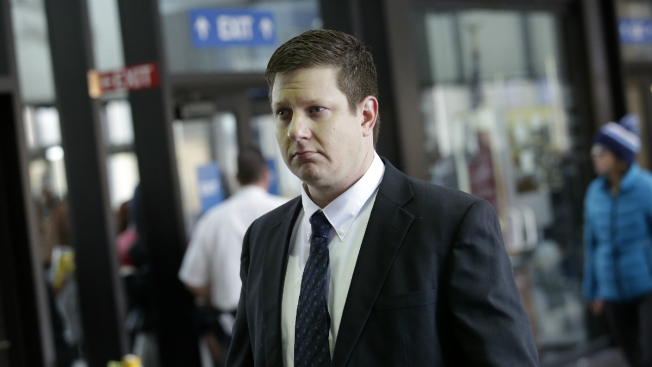 The weeks-long case ended when former Officer Jason Van Dyke was convicted of second-degree murder and 16 counts of aggravated battery. He was also found not guilty of official misconduct by a jury. Van Dyke's attorneys said he feared for his life when he shot McDonald 16 times. Dashcam video showed Van Dyke opening fire as the young man appeared to walk away from officers with a knife in his hand. Oct. 5: Van Dyke was convicted on Oct. 5 of second-degree murder and 16 counts of aggravated battery in the fatal shooting of McDonald. The long-awaited verdict came almost exactly four years after Van Dyke shot 17-year-old McDonald 16 times on the city's Southwest Side. Jan. 17: The fate of three Chicago police officers at the center of a conspiracy and corruption case surrounding the shooting of Laquan McDonald rests in the hands of a judge. Judge Domenica Stephenson is expected to rule on whether the officers manufactured a narrative exaggerating the threat 17-year-old McDonald posed the night he was shot 16 times by Van Dyke. Jan. 18: Van Dyke learns his sentence.